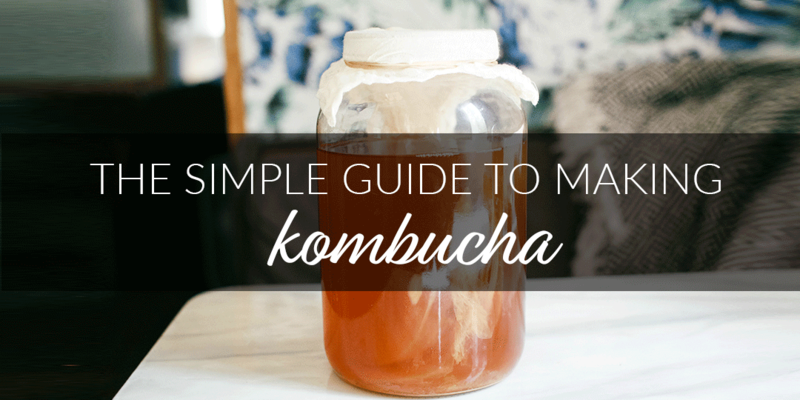 We started making kombucha at home at the beginning of the year, and it was so simple (and saved us so much money!). Luke and I have a bit of a kombucha habit. So when we decided to move into the RV and travel full-time, I knew I had to figure out a way to brew kombucha in the RV. 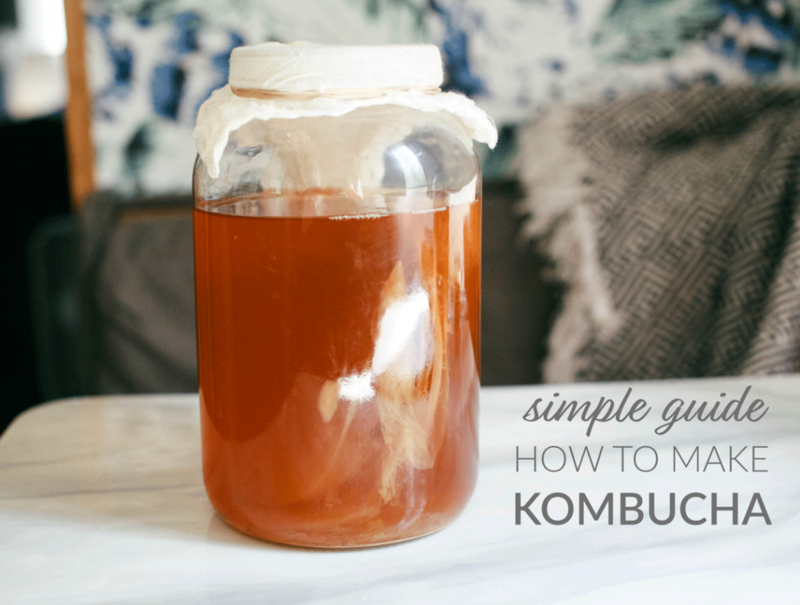 This simple guide to making kombucha is a fool proof way to make kombucha at home with a few tips at the end for those of you wanting to brew on the road. You can also buy a kombucha starter kit like The Complete Kombucha Kit that comes with everything you need. It’s what I used to get started because I knew it’d take me forever get everything together. Step 8: Stir in a few tablespoons of apple cider vinegar using a wooden spoon. You want the pH at 4.5 or below. I don’t have pH strips, so I just do 2-3 TBS – it works just fine. Step 11: Wait 1-3 weeks. 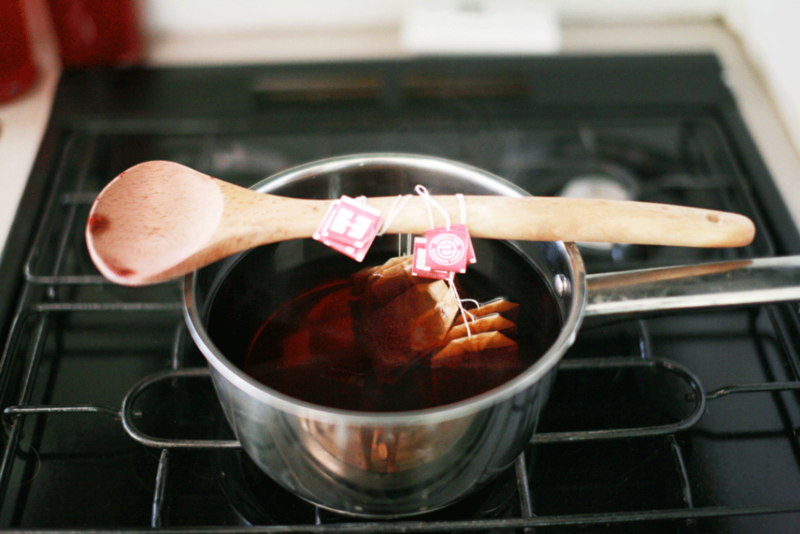 After a week, using a WOODEN spoon (no metal should touch your booch), begin tasting your brew. If it’s still sugary sweet, it’s not quite ready. If it’s too bitter, add a tablespoon of sugar and give it another day or two. 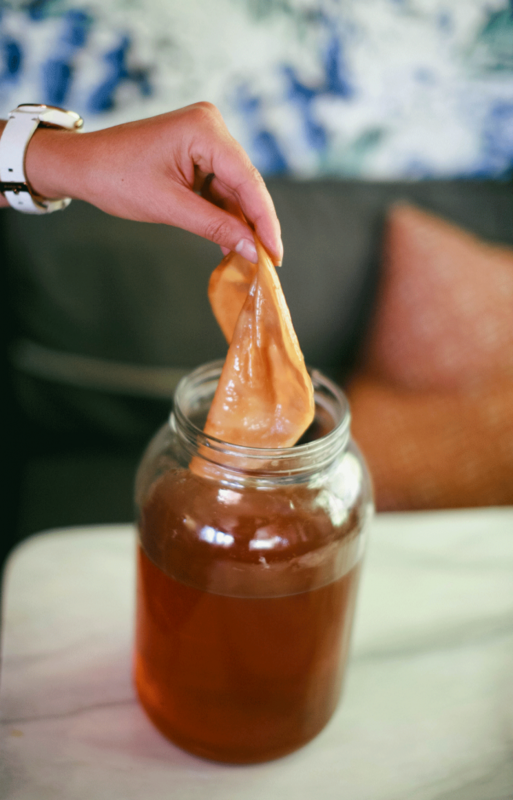 You can also tell when it’s ready by the baby scoby forming on top of the jar or as a layer on your original scoby. Once it’s sizable enough to pick up, you’re probably done. 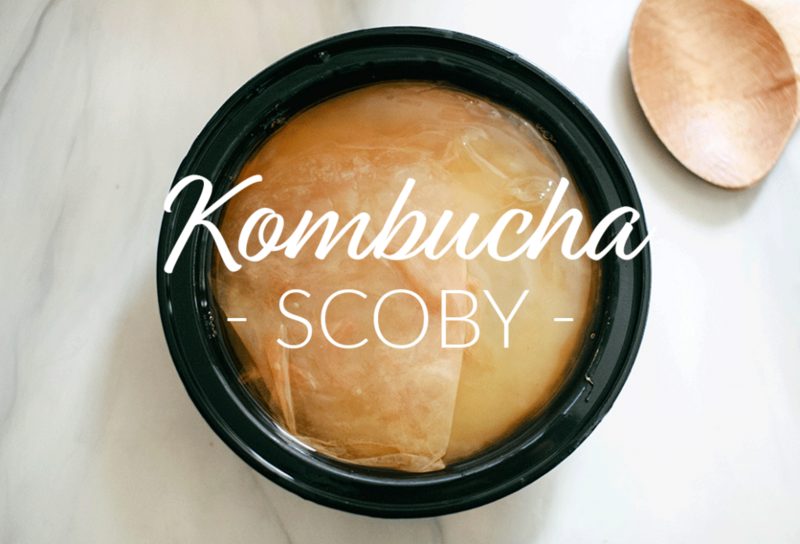 Final step: With clean hands, remove the scoby and place it in a shallow tubberware (or start a scoby hotel) with 1 cup of the kombucha. This will be your starter for your next batch. That’s all there is to the first fermentation. To add flavor and fizz, here’s how you do the second fermentation. Alright fellow full-time RVers, making kombucha on the road isn’t difficult, but there are a few things to be aware of. I don’t fill my jar up with the additional water as much as I did at home. I leave about 4 inches at the top versus 3 inches. I avoid making a new batch if we’re going to move several times in the next 1-2 weeks. Just wait until your settled. If we’re only moving once or twice, I go for it. The jar is only covered in cheesecloth. I place the jar in a plastic grocery bag with a small towel, just in case there is any splashing or spillage on travel day. Find a secure, dark cabinet to brew your kombucha in and make sure it’s secure on travel day. Temperature control. This is difficult. We’ve gone from cool 40-50 degree weather to hot 90 degree weather in a matter of days. When it’s cold, I wrap the jar in towels to keep it insulated. When it’s hot, I just keep checking it since it will be done brewing a lot faster. Have fun with it. The different atmospheres and climates will alter your booch. Don’t be afraid to mess it up. Try new things until you figure out what works. With all the fresh, local fruits at different destinations, you can experiment with all sorts of flavors in your second fermentation. If you have questions about the first fermentation, leave it in the comments, and I’ll be sure to answer it. I don’t want you missing out on this probiotic goodness.